There are several reasons for consuming carrot juice as it is beneficial to each and every organ of the body. Ø It helps in purifying and revitalizing the body. Ø It makes skin to glow and rejuvenate. Ø It controls Blood Pressure and Sugar levels in blood. Ø The vitamin K which is present in the carrot helps in the process of clotting the blood, it reduces the risk of heart diseases by controlling cholesterol. Ø It helps to maintain healthy mouth by controlling the germs to build in the mouth and helps in preventing mouth decay and prevents mouth odour. Vitamin C which is present in the mouth helps in keeping gums healthy and to heal wounds quickly. Ø Gastric problems can be cured by consuming the juice regularly and improves digestion. Ø It is highly beneficial for cancer patients, it reduces the risk of several types of cancer. The carotenoids which are available in carrot decreases occurrence of bladder, prostate, colon and breast cancer. Ø It helps feeding mothers to increase the quality of breast milk. Ø Menstrual cramps will get reduced with the juice. 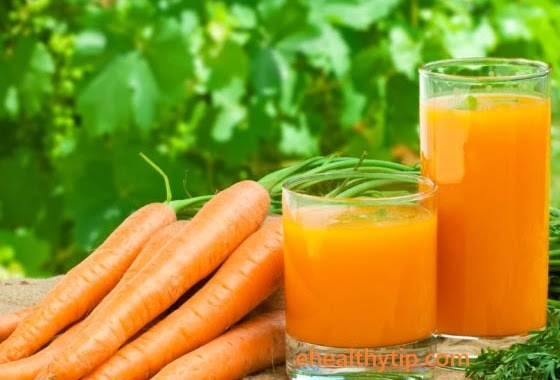 Ø The foremost organ that gets benefit from the carrot juice is Eyes. It helps in increasing eyesight, hair growth and strength of nails. Last but not least, it is widely recommend for the people who are in diet as it is an immensely low in calories. It helps upto great extent in losing weight. If you want to get the power of protein, it is advised to take carrot juice regularly. 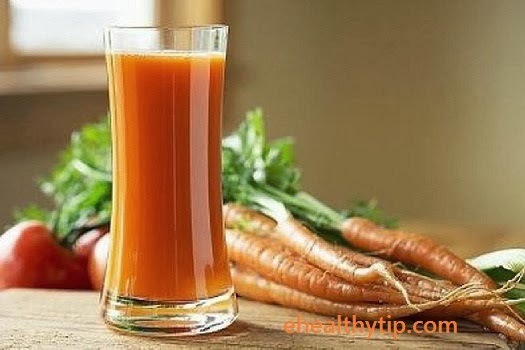 Tags: Carrot Juice,Carrot Juice benefits,Carrot Juice vitamins,Health Tips,Daily Health Tips,Skin care Tips,Doctors advice,Health Care Tips,Hair care Tips,Daily Health,Daily Healthy Tips,Latest Skin care Tips,Weight Tips,Easy Weight Loss Tips,Home Remedies,Home Remedies For weight loss.